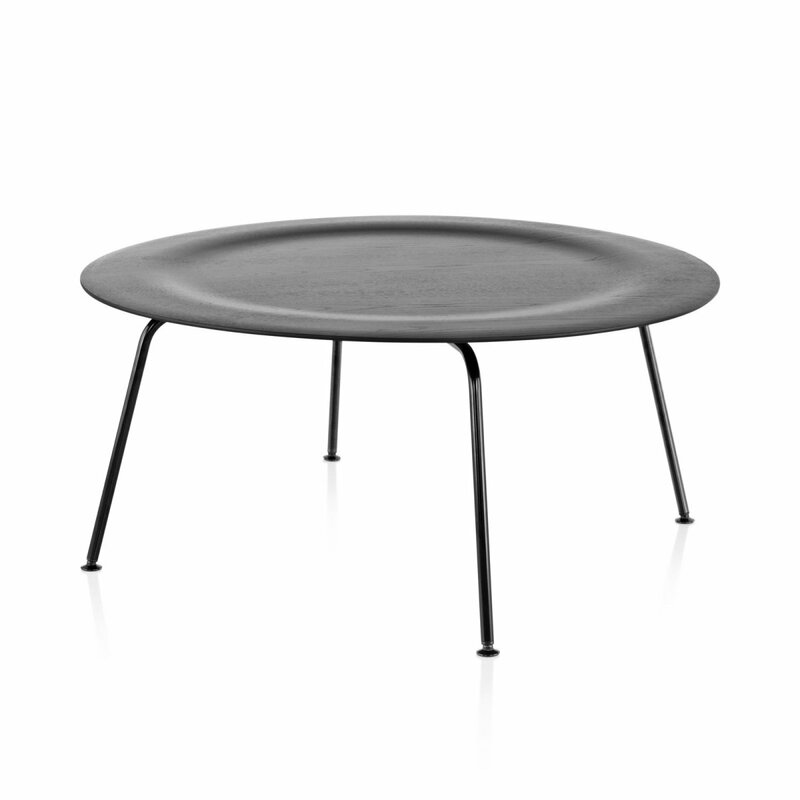 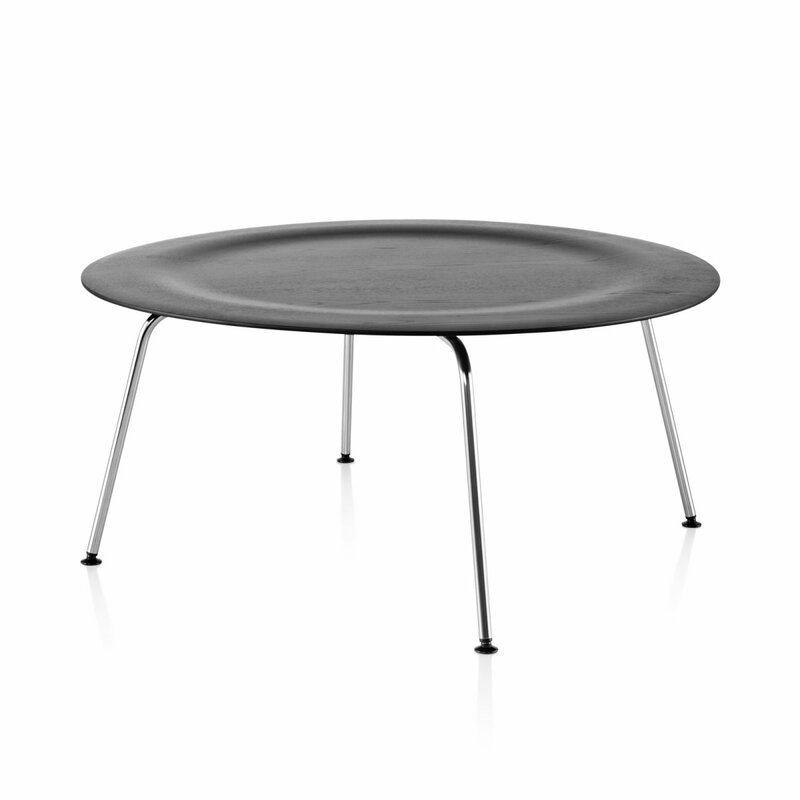 Eames Molded Plywood Coffee Table Metal Base is a mid-century modern coffee table with a natural and simple beauty, designed by Charles & Ray Eames for Herman Miller. 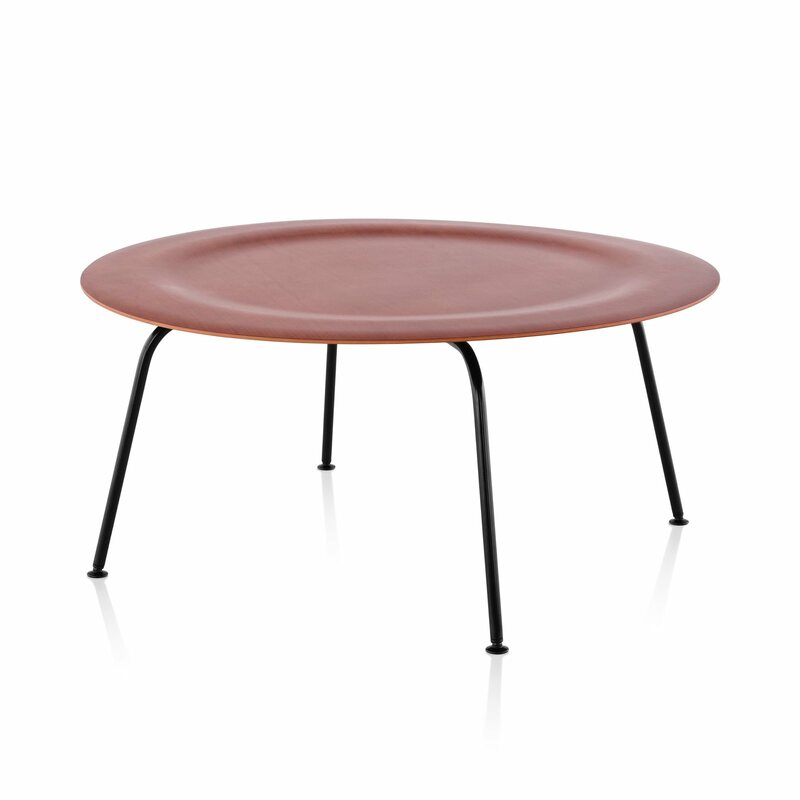 Lightweight and compact, this table is an eloquent example of early Eames design. 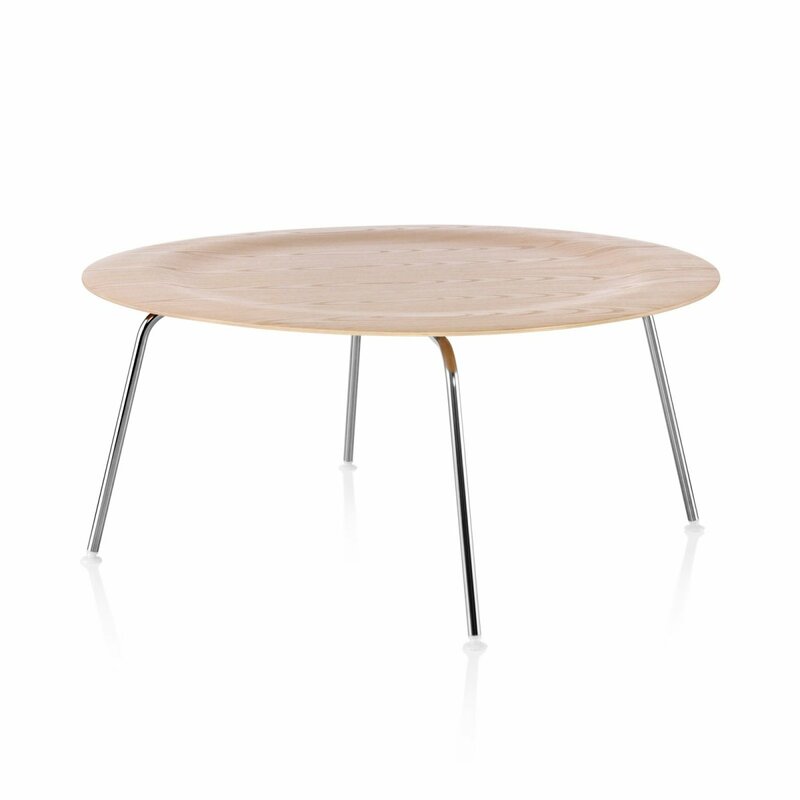 Formed by breakthrough technology that moulds plywood veneer into curved shapes, its round top is slightly indented and comes in a range of finishes. 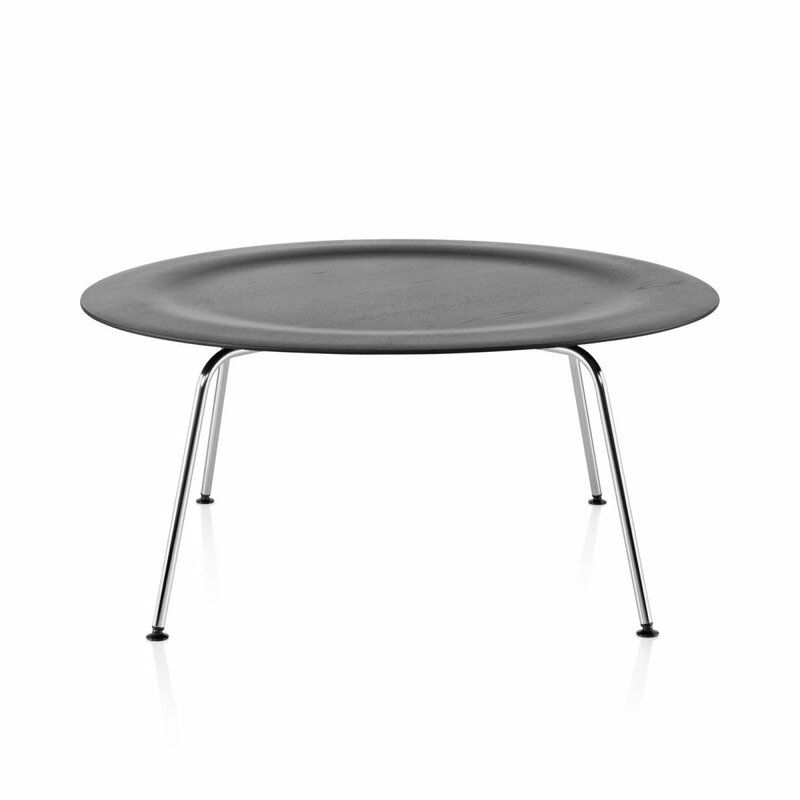 Supporting it are slim metal legs in black or trivalent chrome. 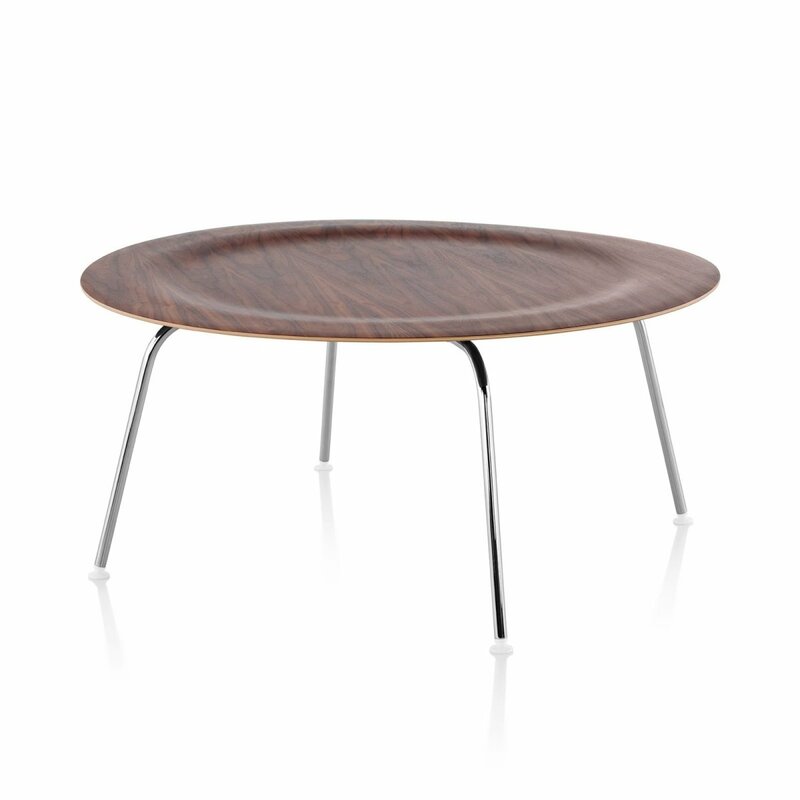 Complemented by lounge chairs or sofa seating, it creates a striking centerpiece in any space.